Halloween will soon be here, and as you know, the Purr Scouts LOVE parties! So of course we will have a Halloween party fur Purr Scouts! And GUESS WHAT? If mew attend in costume, you will be awarded the brand new Purr Scouts Halloween badge! 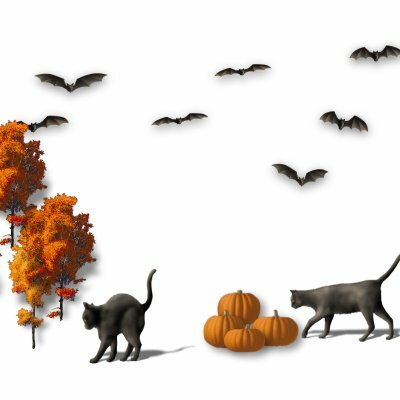 ALL Purr Scouts will receive an update as to time and place of the Halloween Party! Have mew been to the Purr Scouts Camp yet? If not, this is a purrfect time of year to go. Join us fur camping fun and maybe snuggle up close to the fire and listen to Purr Scouts' ghost stories! A BIG Purr Scout Welcome to the following new Purr Scouts! Anne Cordelia, Bonnie-Sue Poisson, Camaro Jamison, Harley, Jumper P. Cat, Mikey Cadiddie, Peaches, Spooky, Squeaky, and Sunshine! Danieda Elowin Milliken, Harley, Purr, Sage Lucinda Milliken, Rascal, Spooky, Sugar, Sunshine, and Tommy Otto Milliken! Great work Explorer Purr Scouts! Purr Scout Leader Frankie, of the Kitty Tribe went to the Rainbow Bridge Oct. 3rd, 1999. He was only 3 years old. Please check out a Purr Scout tribute to our Purr Scout Leader later in this mewsletter. You can now get mugs to sip your catnip tea from with the famous Purr Scouts emblem on it ! Order yours from the CLAW store! Now you can choose from several Purr Scouts tshirts available at the CLAW store, designed by the talented Purr Scout Sir Triffan! Purr Scouts Squeaky (a.k.a The Crown Princess Squeaky) and Triffan (a.k.a The Crown Prince Tryfan Alexander Jesskat) wish to thank all the Purr Scouts who attended their wedwink! The Kitty Tribe wishes to thank all Purr Scouts who sent purrs, gentle mews and cards fur the unexpected departure of Purr Scout Leader Frankie to the Rainbow Bridge. Please check our tribute to Frankie later in the mewsletter. The response to the Purr Scouts Helping Paws Award project has been good. Please note that the PS Helping Paws is not the same as a badge, but is meant to be a true challenge to help fellow CLAW memfurs and kitties efurrywhere! Please read the instructions carefully! You can not use donations and web pages made prior to undertaking the project. If you are already involved with an organization or cause, you CAN make a new donation, web page, fund-raising effurt or volunteer fur the organization or cause and have it count towards the PS Helping Paws Award. Also, please submit your project proposal to the Purr Scouts Council and wait fur approval before starting your project. Important! Please notify the Purr Scouts if you change e-meow addresses! This is furry important as we award CLAW service points every time you purrticipate in a Purr Scouts activity! The address you use fur Purr Scouts should be the same address you use fur other CLAW activites. We send out updates and invitations from time to time and we dont want you to miss out on all the excitement! Meow! 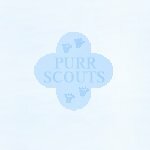 Several Purr Scouts have NOT received their badges or certificates because of wrong or no longer current e-meow addresses! Purr Scout Leader Frankie was not only a PS Leader, but one of its founders as well. He loved all Purr Scout activities, but he especially enjoyed hiking and he guided many Purr Scouts along the trail on their way to earn the popular Purr Scout Hiking badge. The Purr Scouts wish to remind all kitties to be careful during Halloween and to stay inside at night!